Our customers can avail an unparalleled range of Wooden Cutlery from us, the offered range of wooden cutlery is made utilizing high-grade raw material, sourced from dependable vendors of the market. In addition to this, the offered range of wooden cutlery is available in different customized specifications and forms in accordance with the diverse requirements of honorable clients. 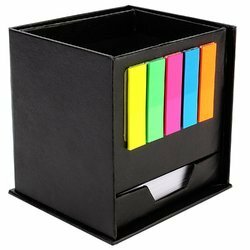 Black leatherette pen stand holder for your office desk or home desk. Tone on Tone stitching, leatherette fold on the back to give an elegant look to your table. 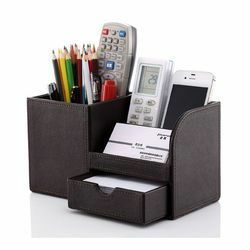 Stationary and pens organizer, to keep your desk neat and clean.